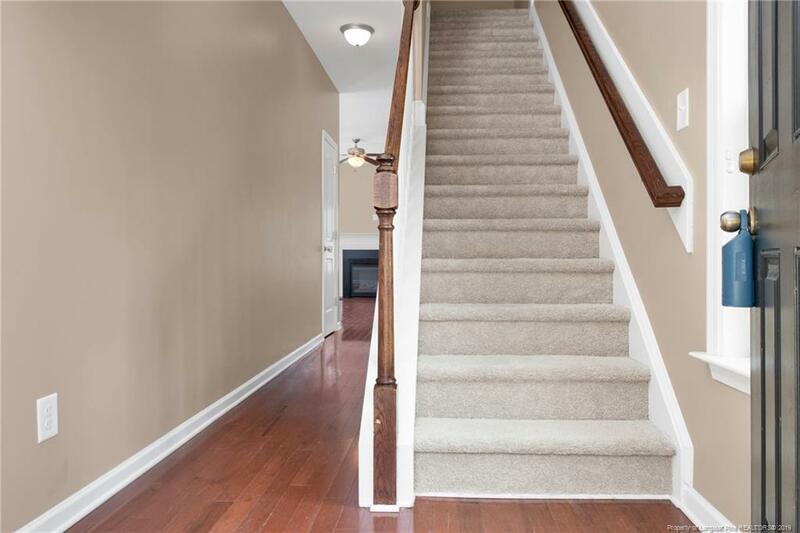 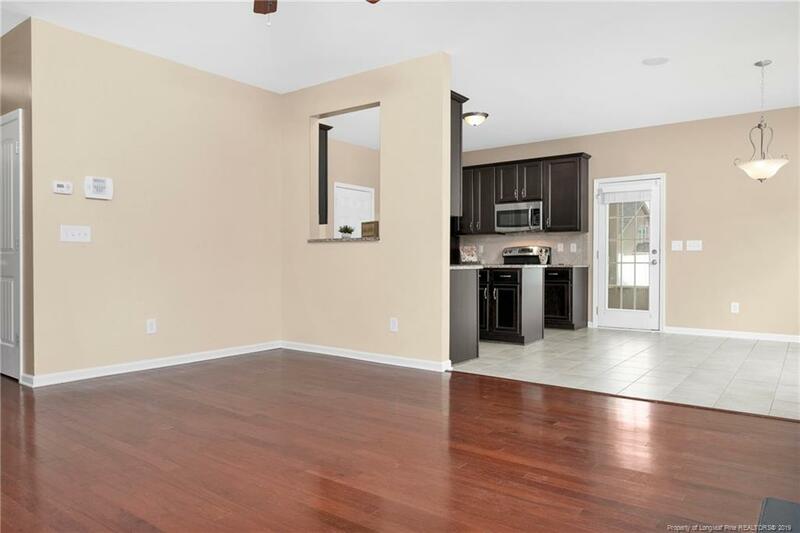 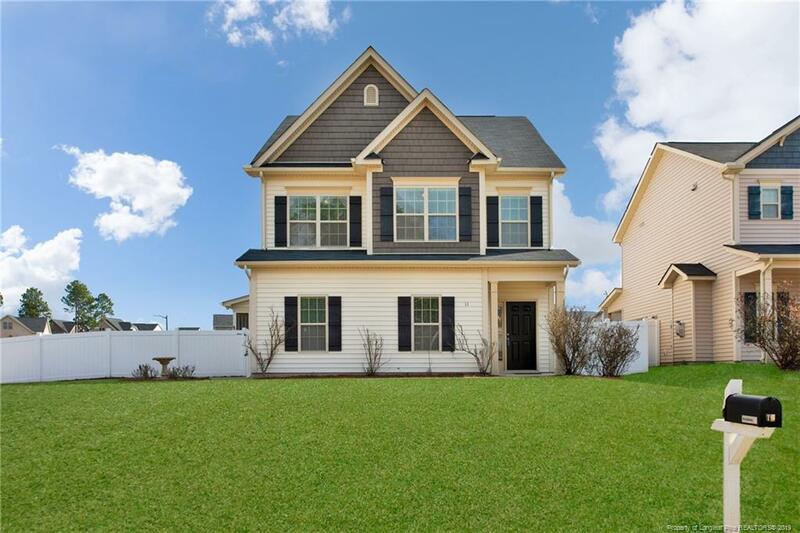 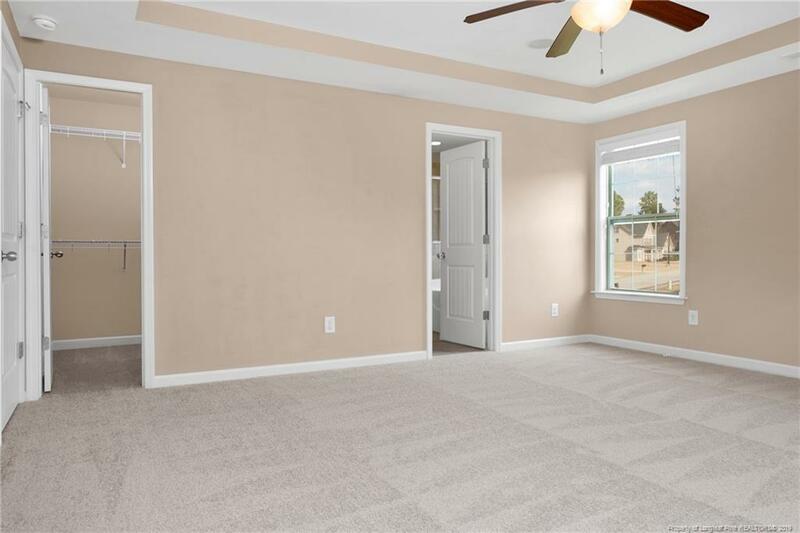 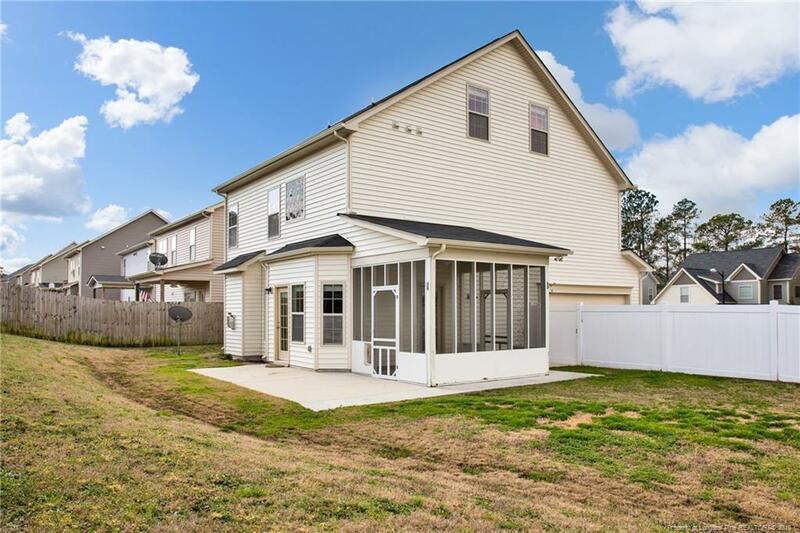 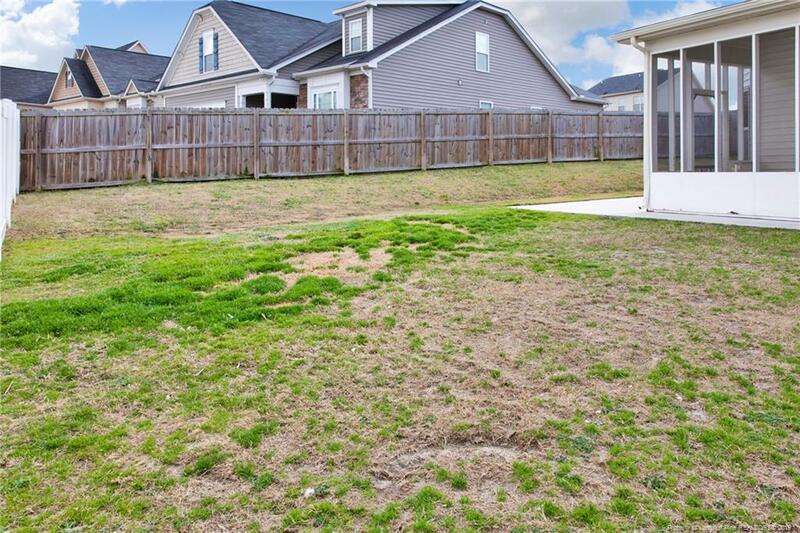 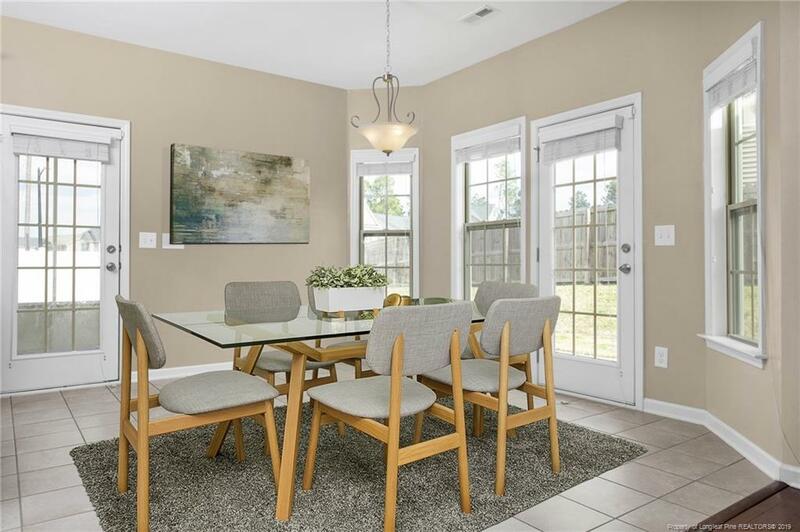 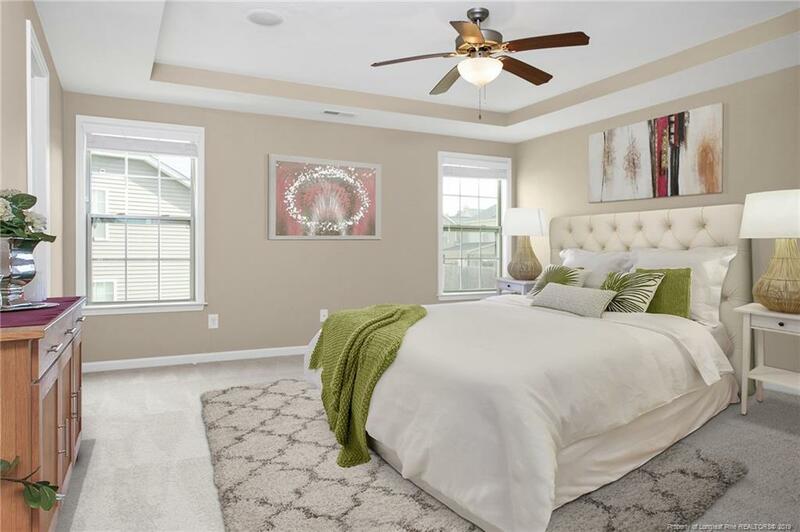 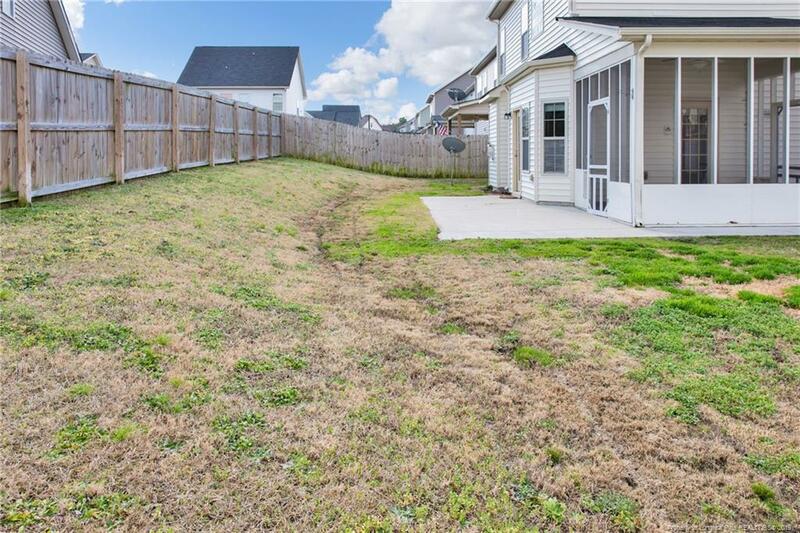 This beautiful 3-Story home features 3 Bedrooms, 2.5 Baths. 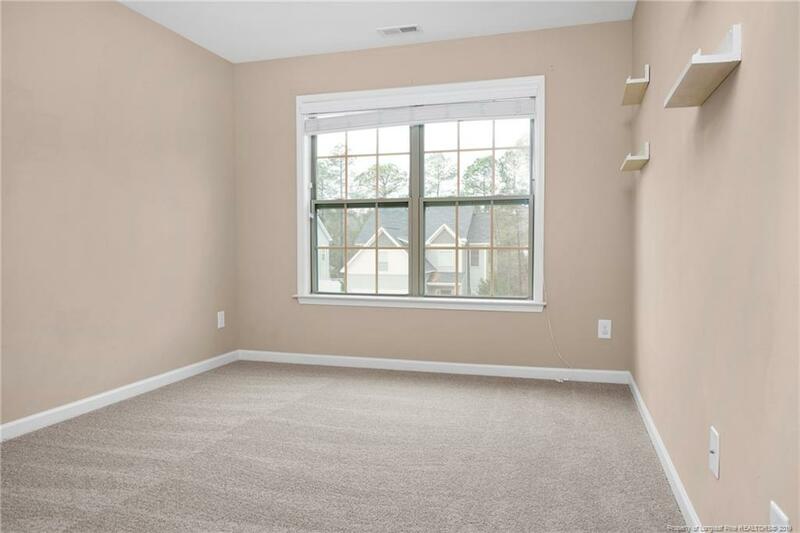 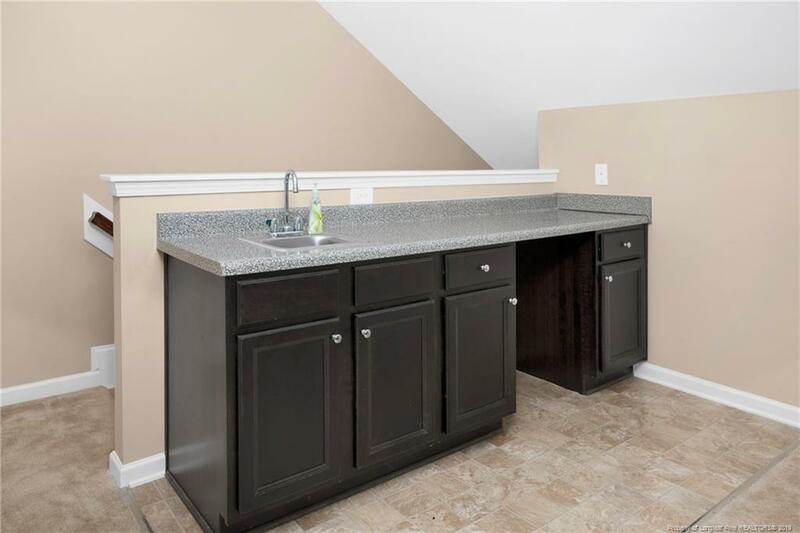 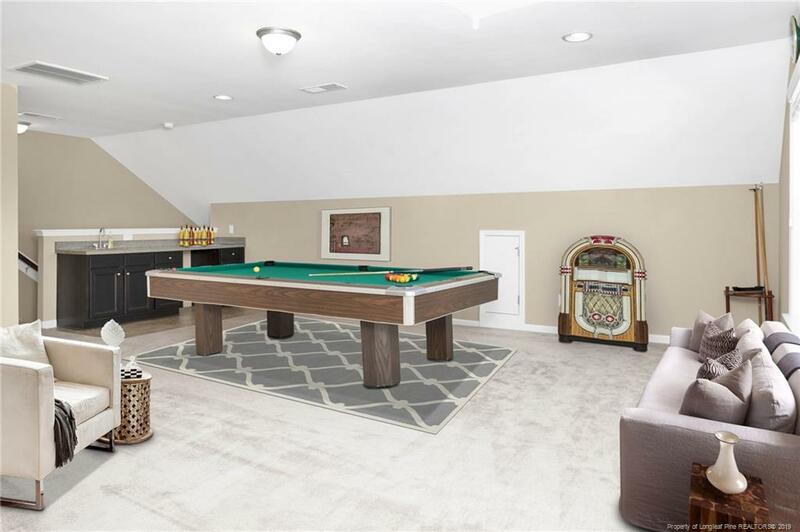 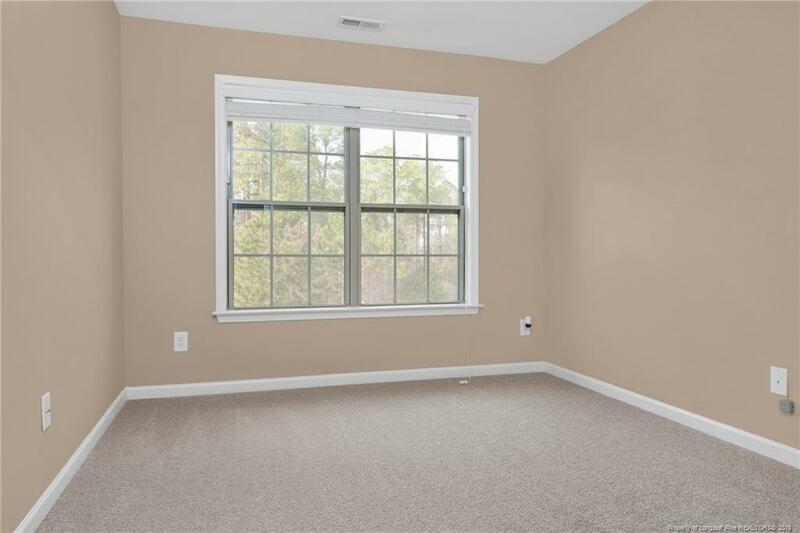 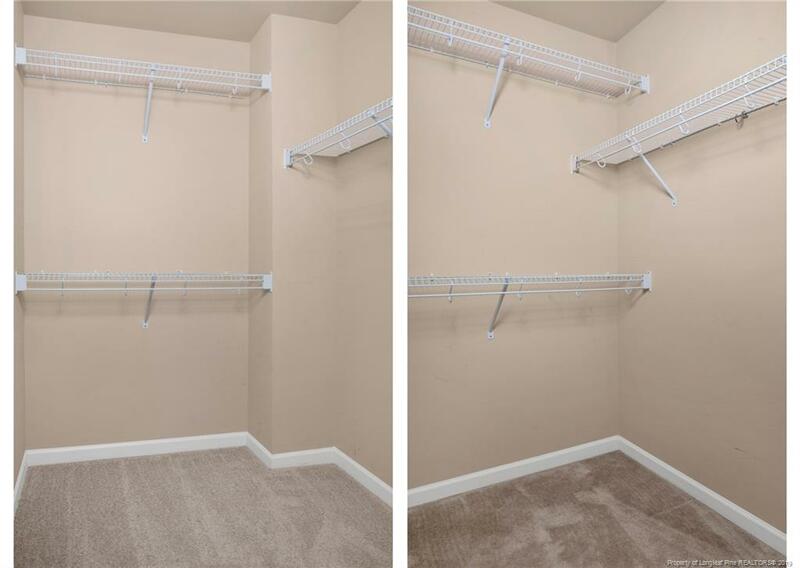 Large bonus room w/ wet bar in the 3rd floor and the pool table stays! 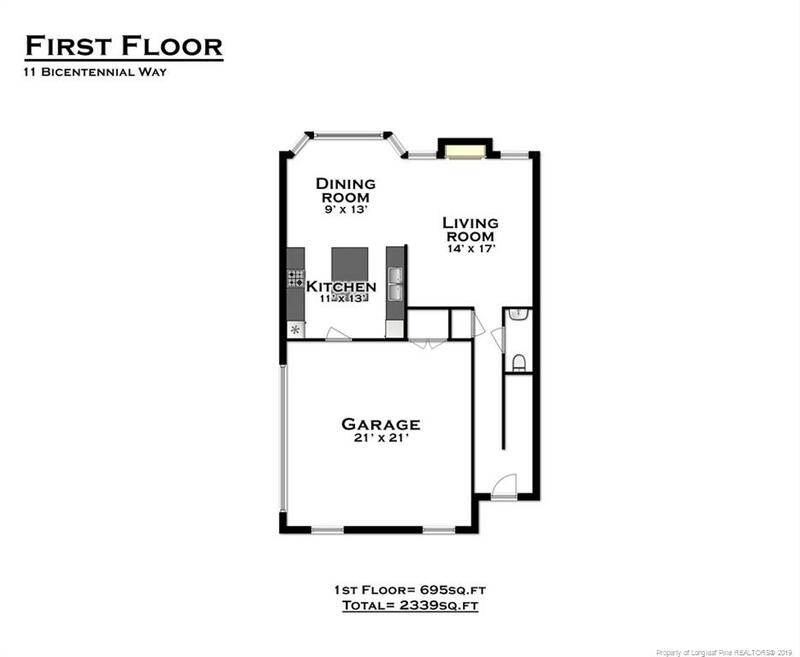 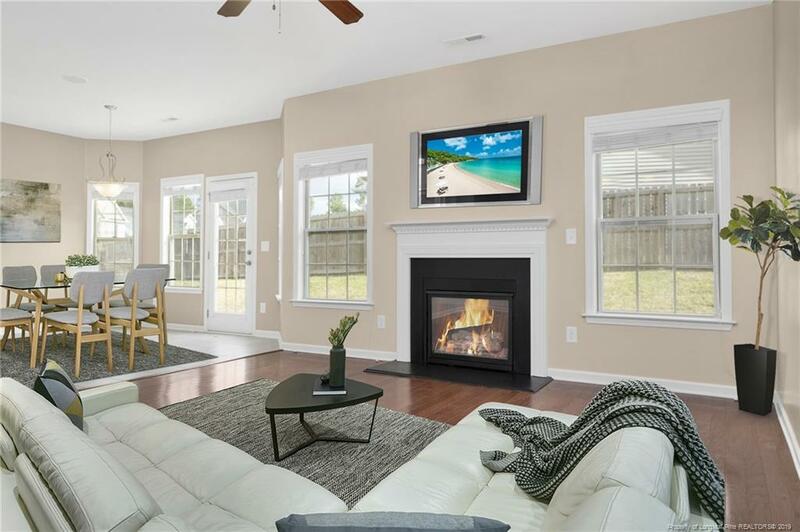 Living room w/ fireplace opens to eat-in area. 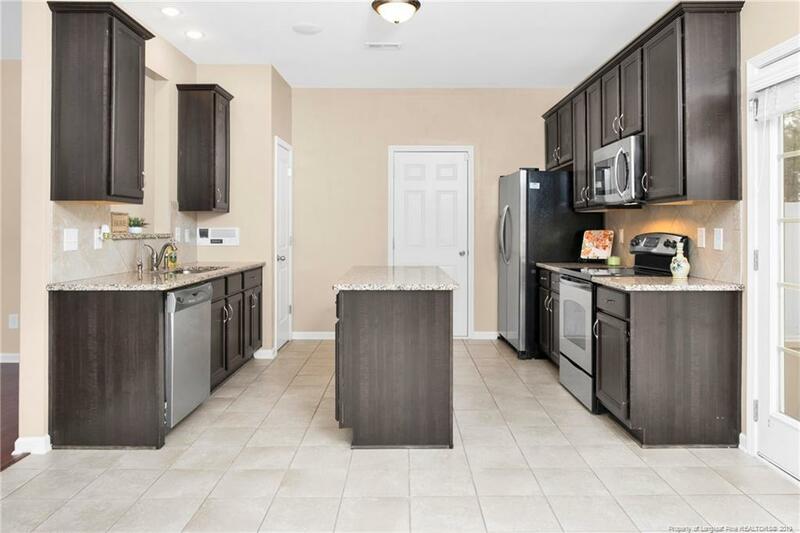 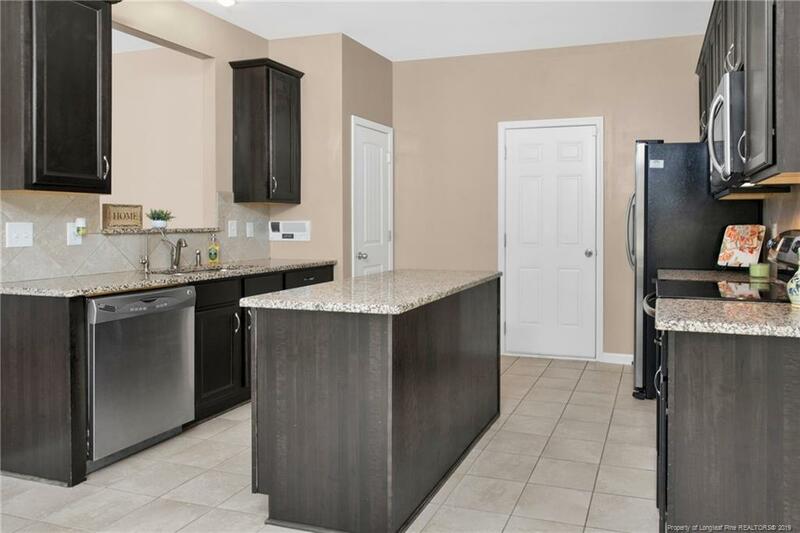 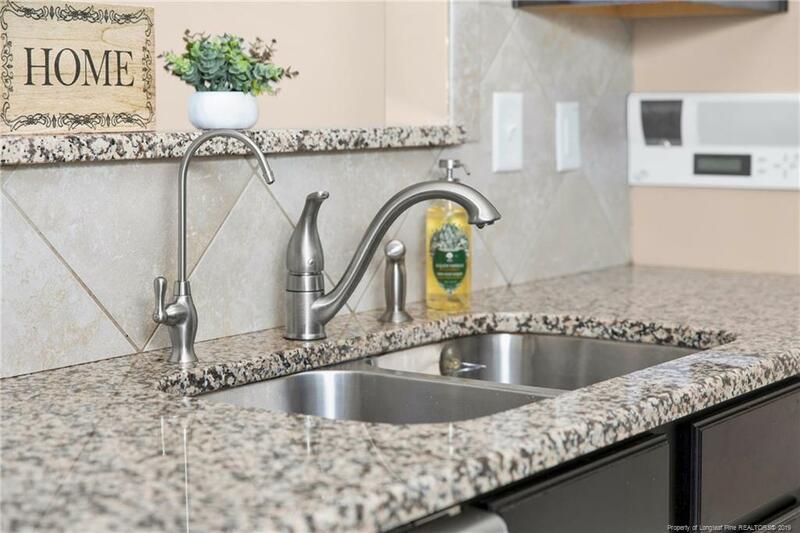 Dream kitchen with big island, lots of cabinets space, granite countertops, stainless steel appliances & reverse osmosis water(kitchen sink.) 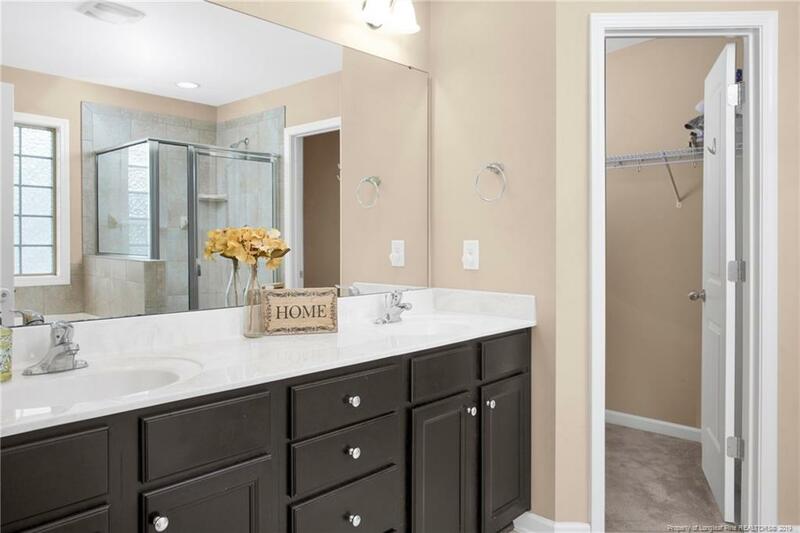 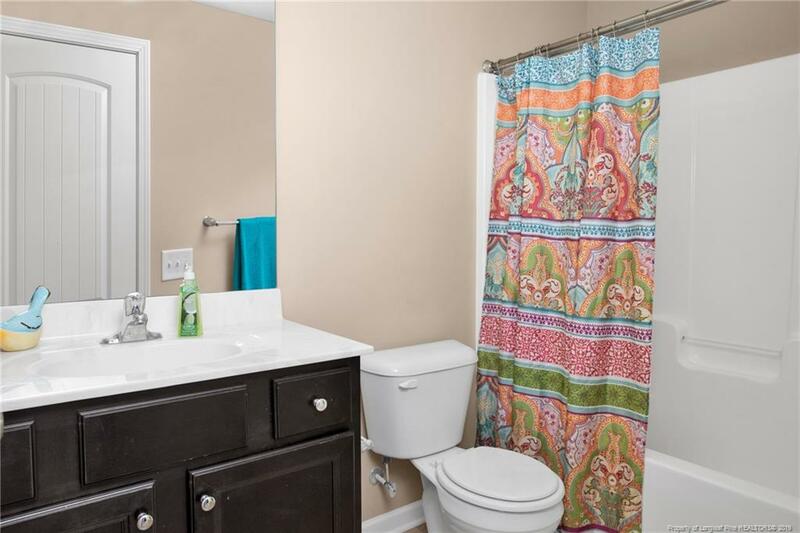 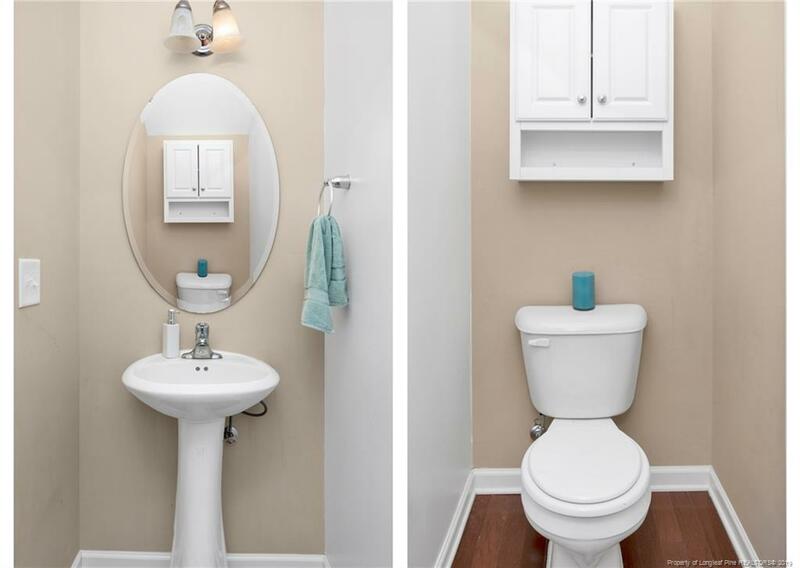 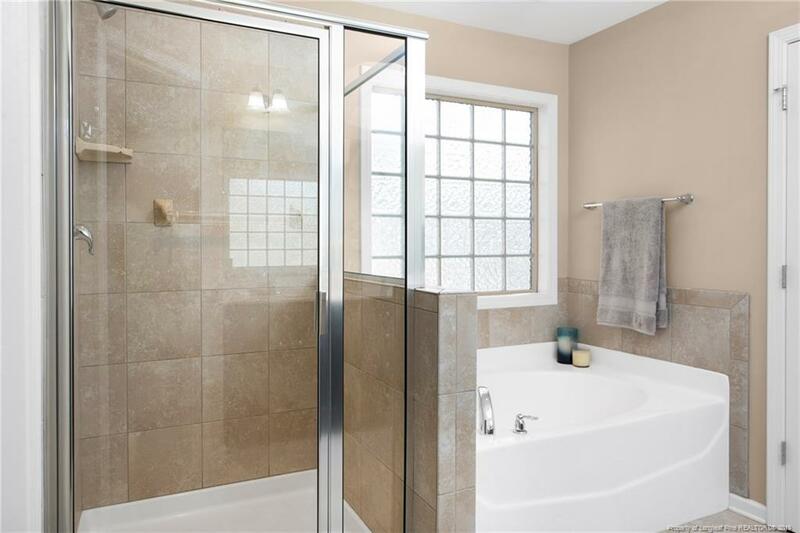 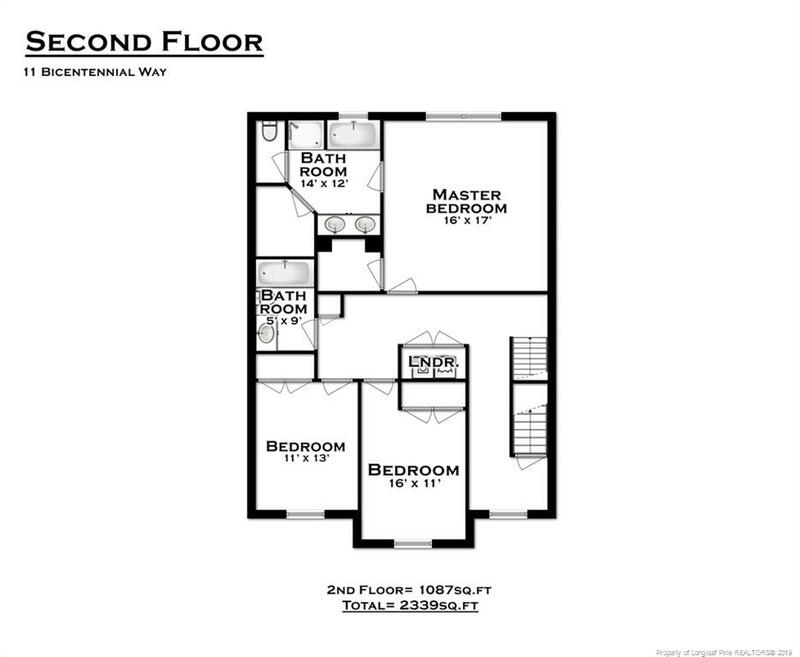 Large master suite with trey ceiling & TWO walk-in closets, it also features full bathroom w/ garden tub & double sink. 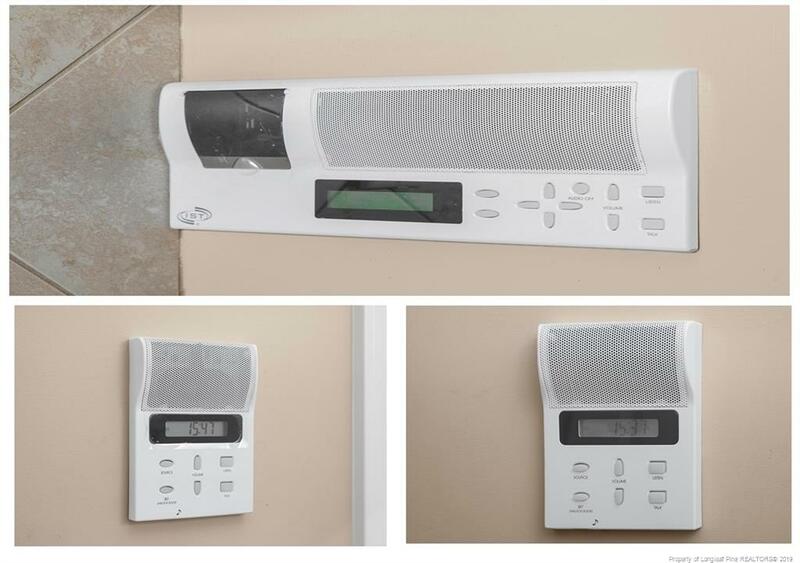 Home Intercom system with radio & aux port for MP3 capabilities & don't miss the space under stairs perfect as a doggie den! 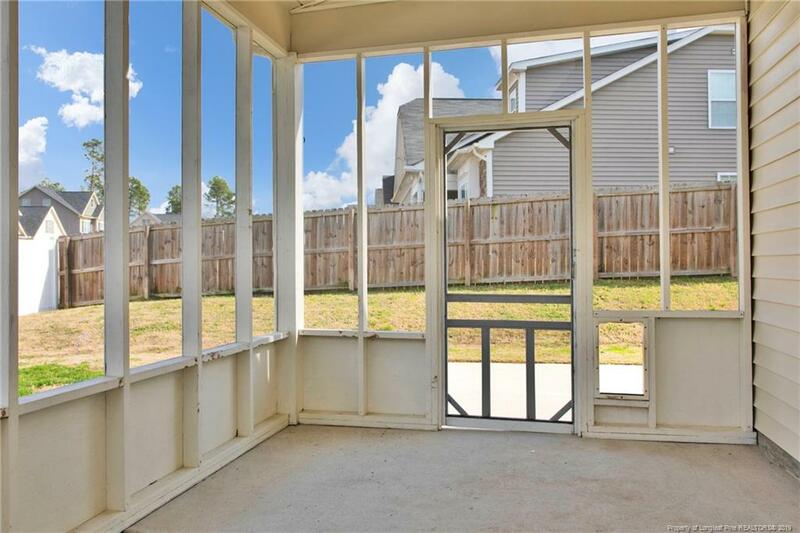 Patio area & fully fenced backyard waiting for you! 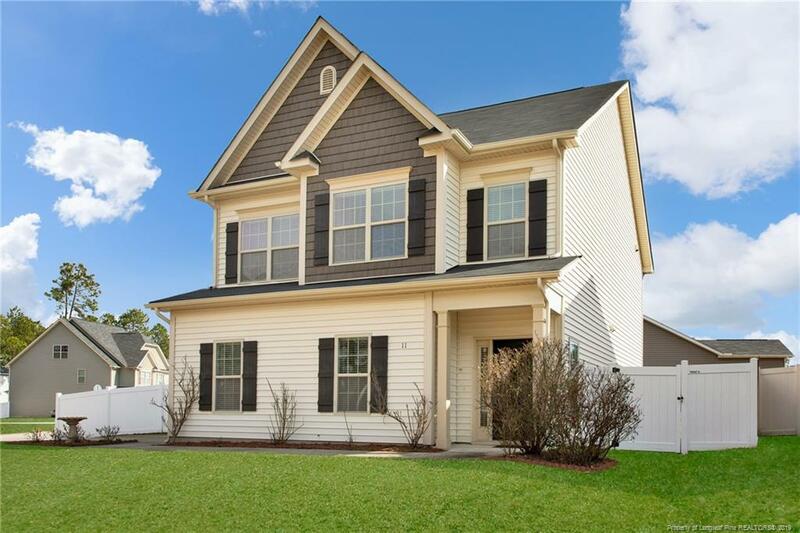 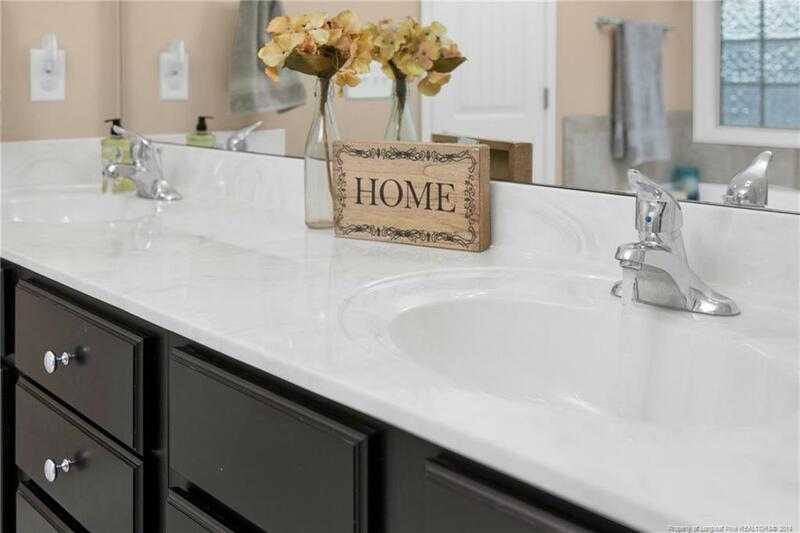 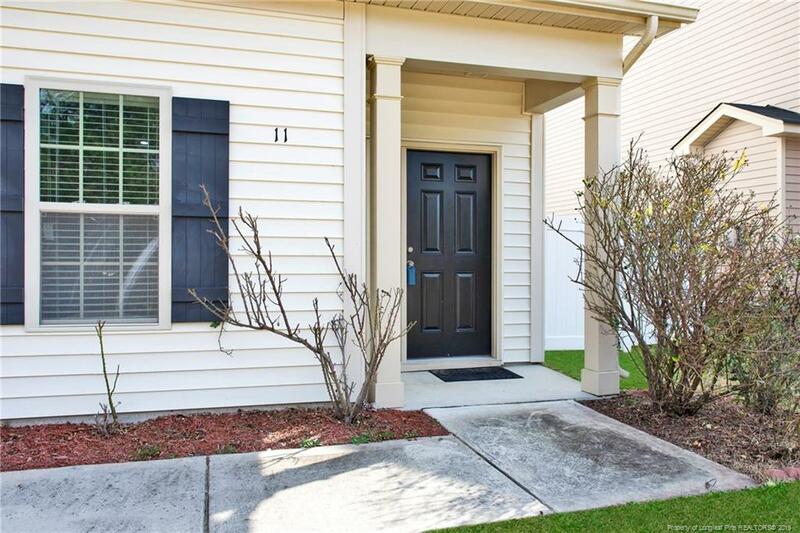 Your search for the right house is over, Welcome Home! 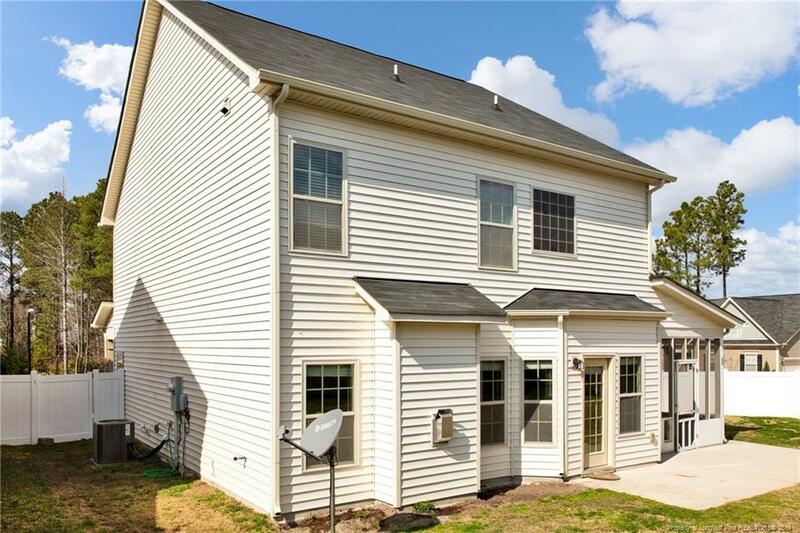 I am interested in 11 Bicentennial, Cameron, NC 28326.